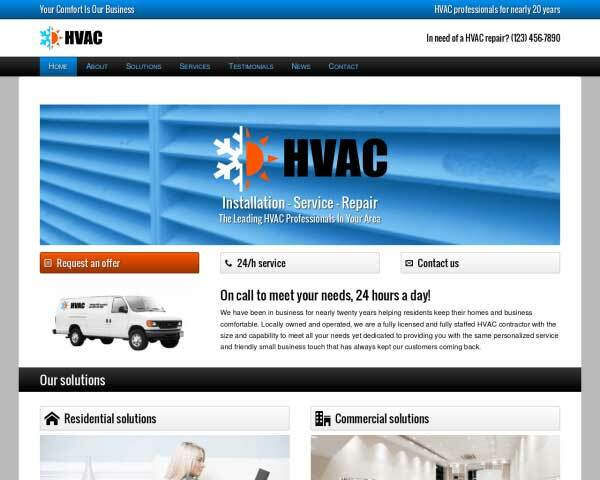 Beautifully present your home renovation services online with a professional website that includes sleek image galleries. 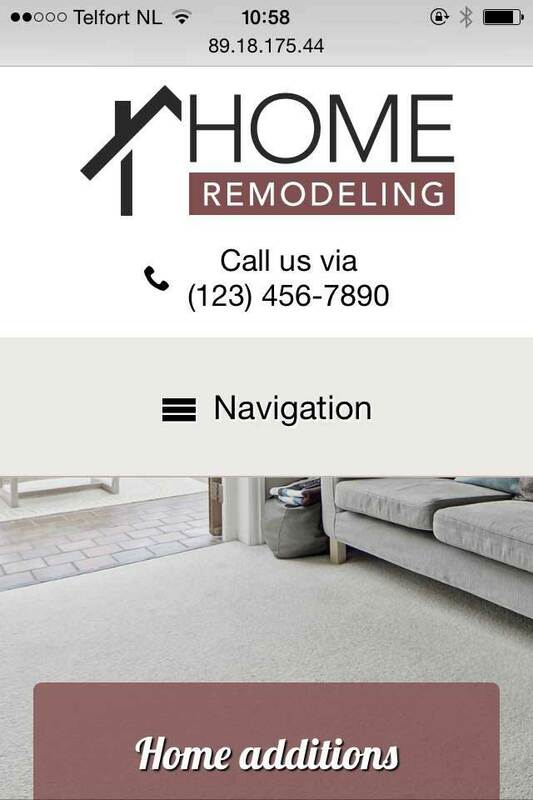 Everything is set up and ready for your photos and text on the Home Remodeling WordPress theme. 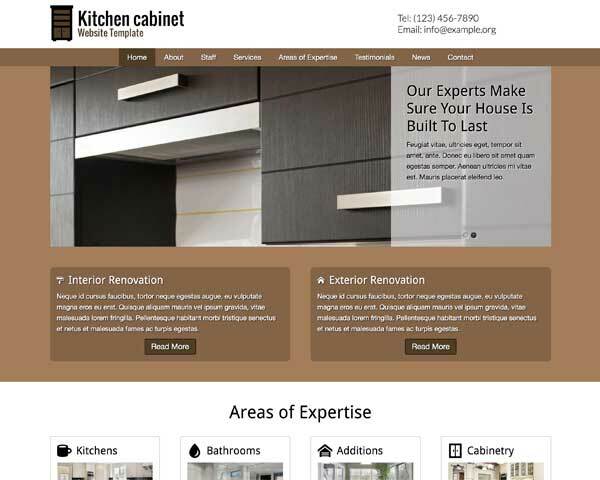 Let your work speak for itself with a stunning online portfolio of your home renovation projects. 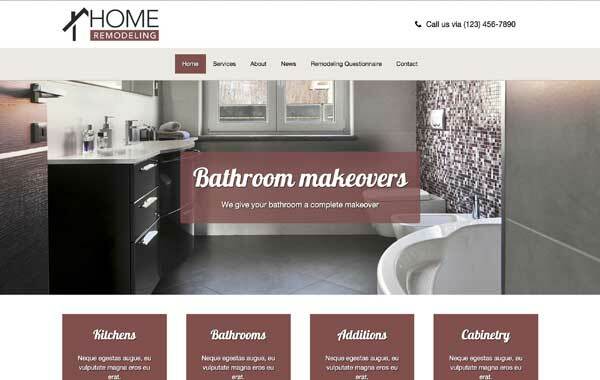 The Home Remodeling WordPress theme is built with multiple image galleries already set up and ready for your photos. Pages for your company history, awards, testimonials and contact details are filled in with placeholder content so all that's left to do is upload your images and paste in your own text. We've made it easier than ever to customize the colors and styling of your site with you powerful front-end editing tool, which requires no coding skills at all. 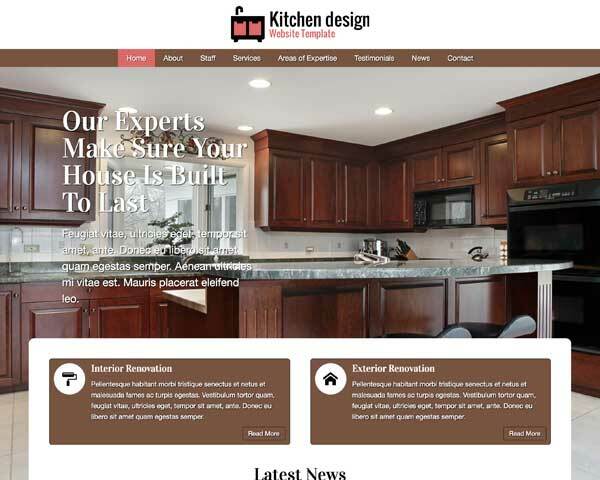 This premium WordPress theme for home remodeling contractors includes useful features to help you get the word out about your home improvement business, such as a built-in blog, social media integration, and an understandable SEO manager. 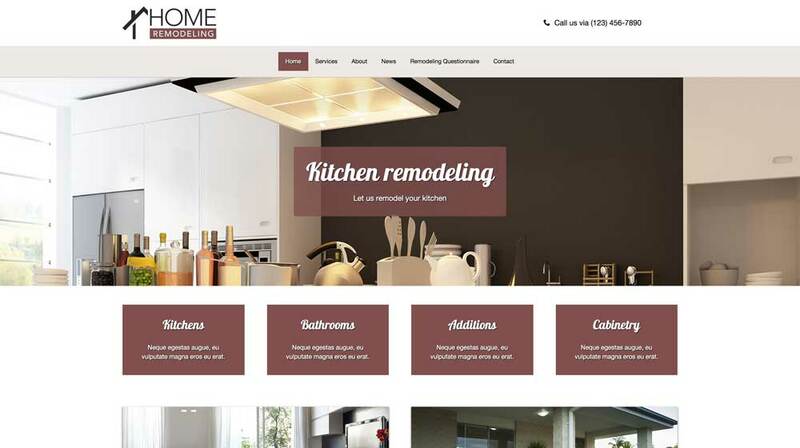 Beautifully designed and fully responsive, the Home Remodeling WordPress theme helps you get a professional home renovation website online fast, even if you've never built a website before. Before building the Remodeling WordPress Theme we researched the specific business needs of dry cleaners. We've included powerful features to get the most out of your investment in a new website. 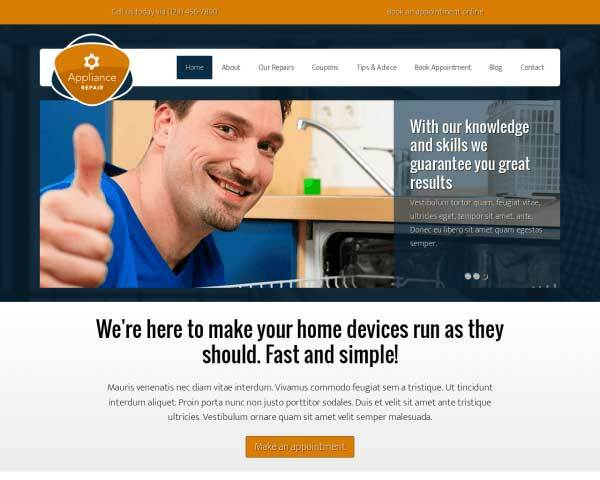 The Remodeling WordPress Theme is beautifully designed to offer visitors a wealth of information in an organized manner, while allowing your own character to shine through. 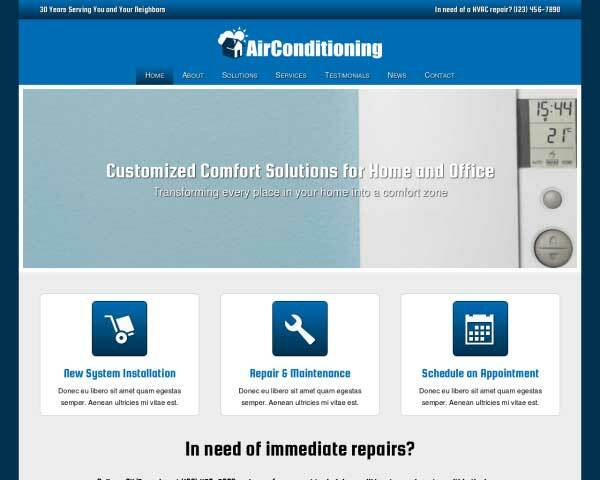 This WordPress theme for construction companies includes a customizable form that allows prospective clients to provide you with important details about a renovation project any time. Showcase your photos on the Remodeling WordPress Theme with two-, three- or four-column image galleries. Clicking on a thumbnail opens the photo in an elegant lightbox slideshow. 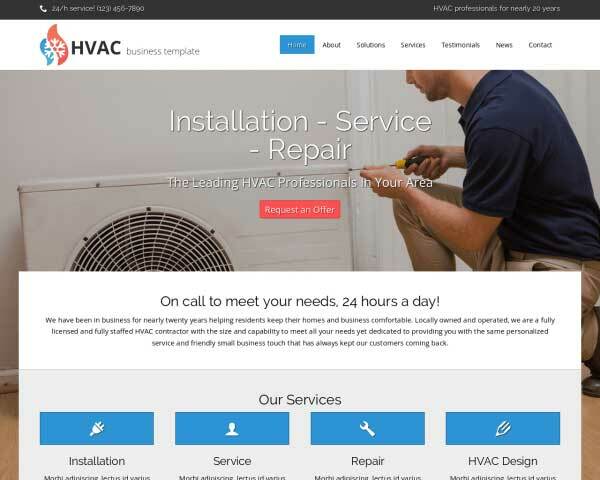 Offer an attractive overview of your services on the homepage of the Remodeling WordPress Theme, along with quick navigation to important pages on your website. Add a welcoming touch to your construction company website by introducing your team with a profile photo and short bio. Placeholder images and text are ready for you on the Remodeling WordPress Theme. 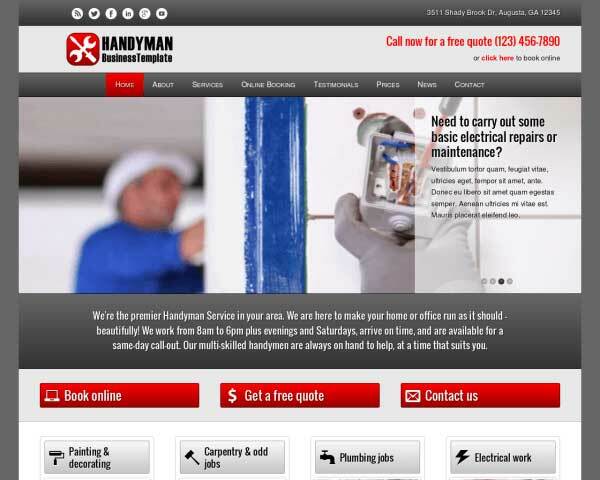 The best way to promote your services with the Remodeling WordPress Theme is to do let others do the talking for you. We've included a stylish testimonials page for you to fill with your own quotes. 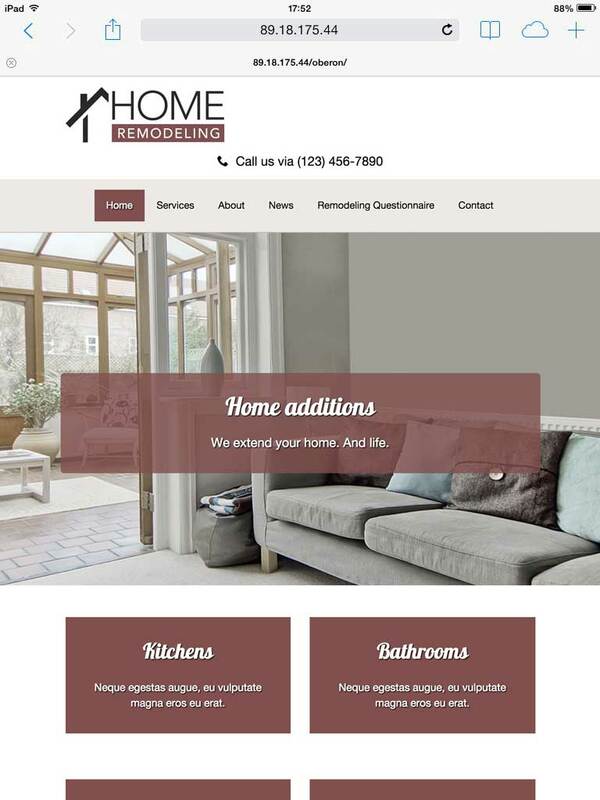 When you build your home renovation website with our responsive Home Remodeling WordPress theme, you can be sure that visitors viewing your pages on smartphones and tablets will enjoy the same professional design, gorgeous full-width images and user-friendly navigation of the desktop version. This website template's mobile-optimized design will automatically adjust the layout of your text and photos to display neatly on any screen size. 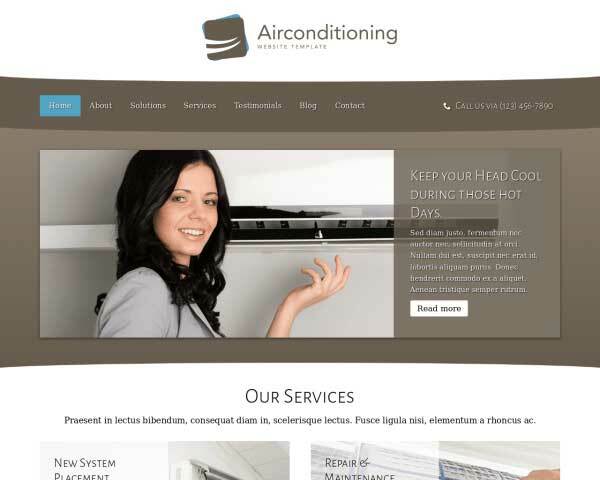 As you add new photos, pages or blog posts, your responsive website will always look great on all handheld devices.